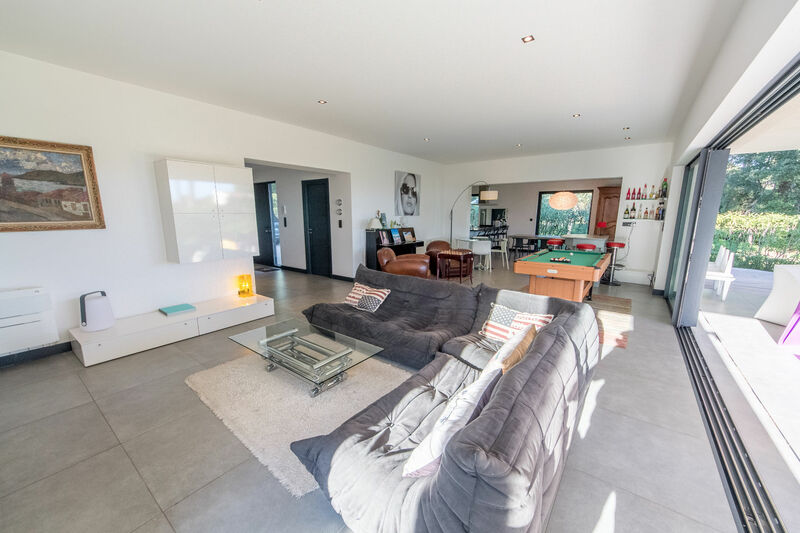 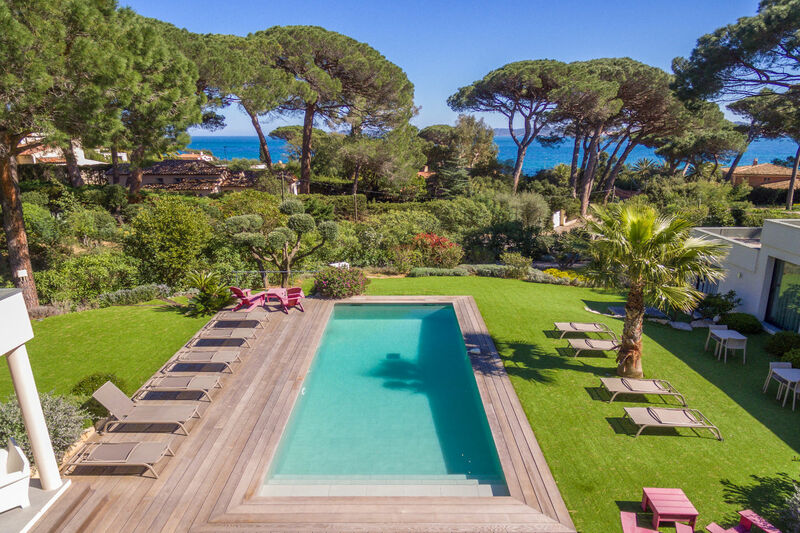 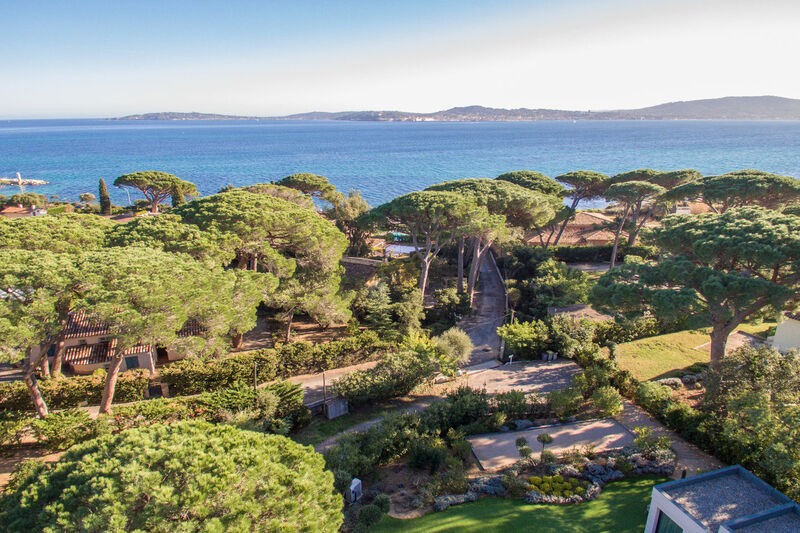 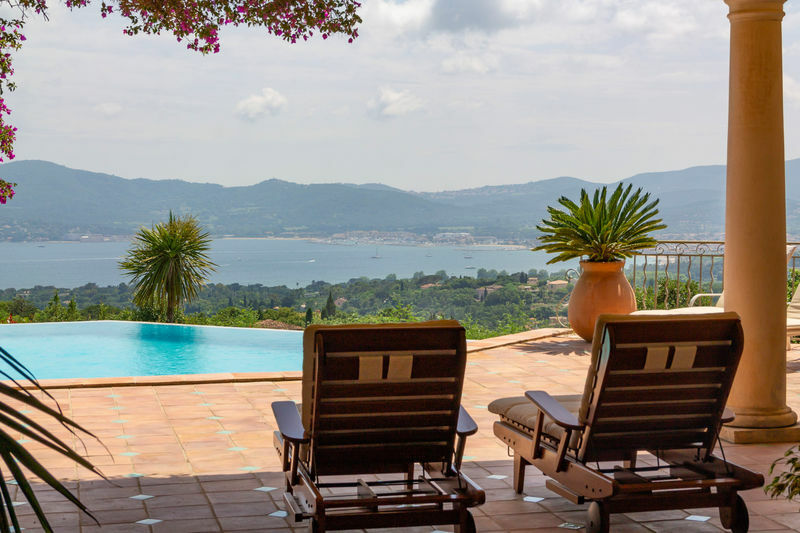 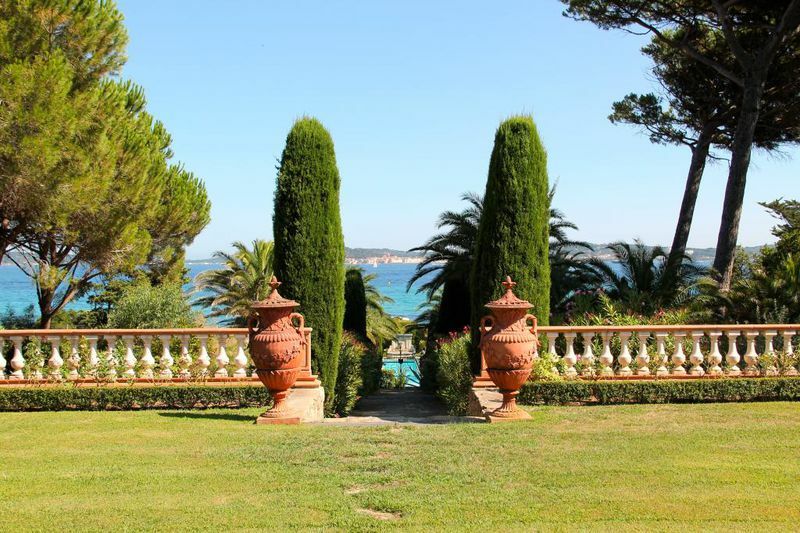 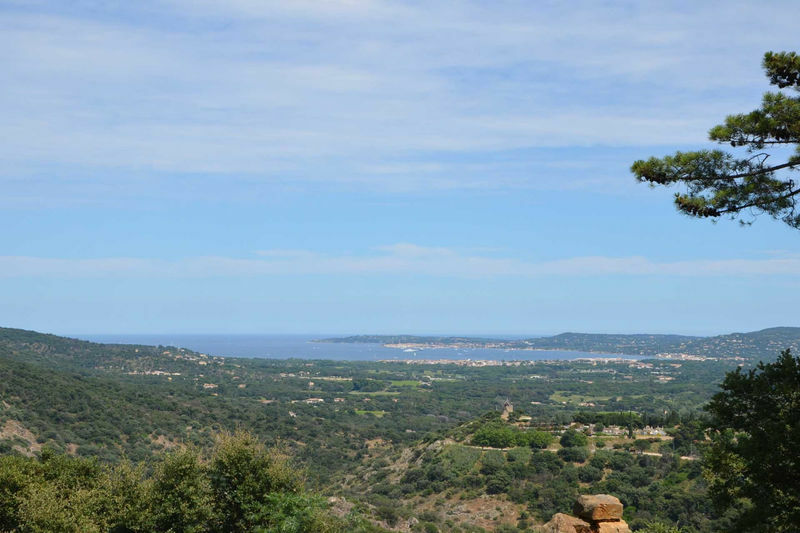 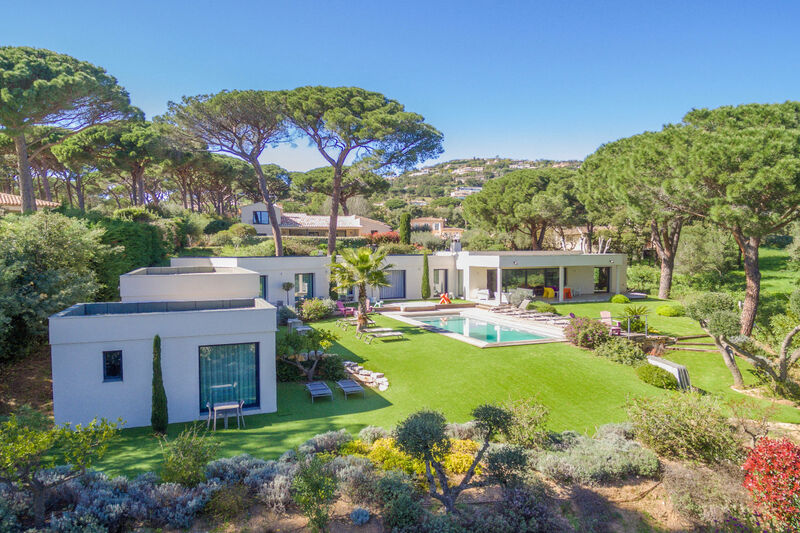 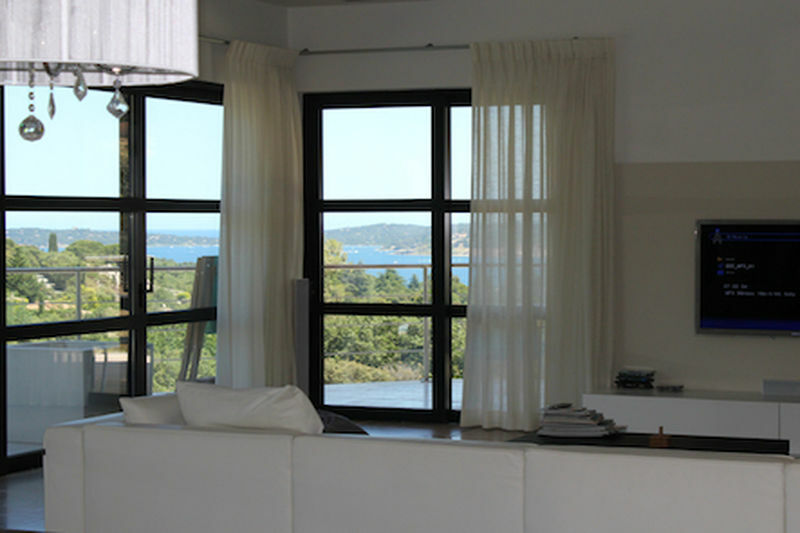 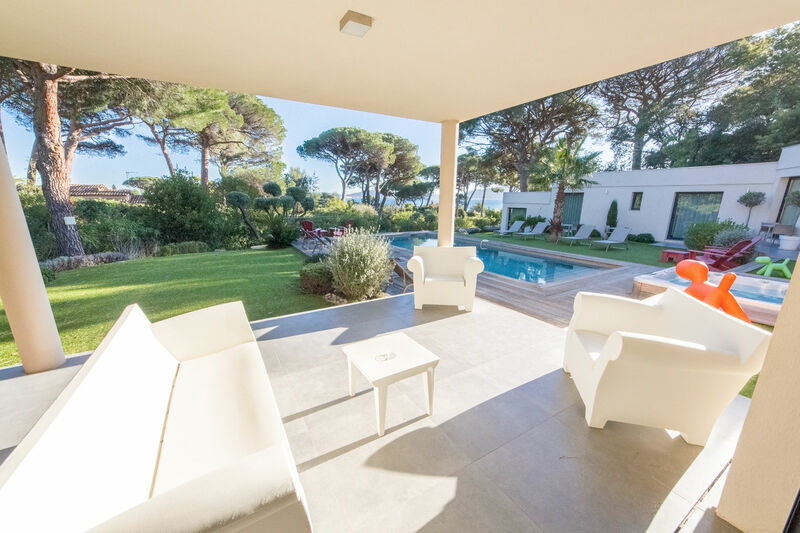 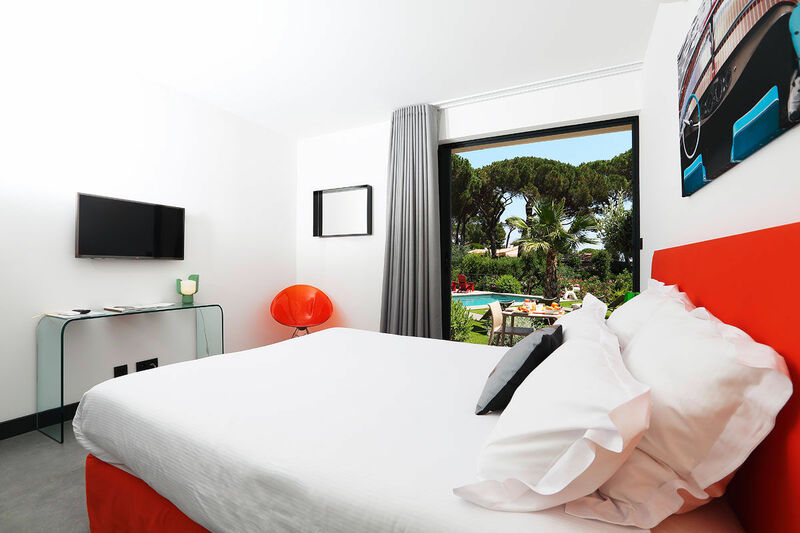 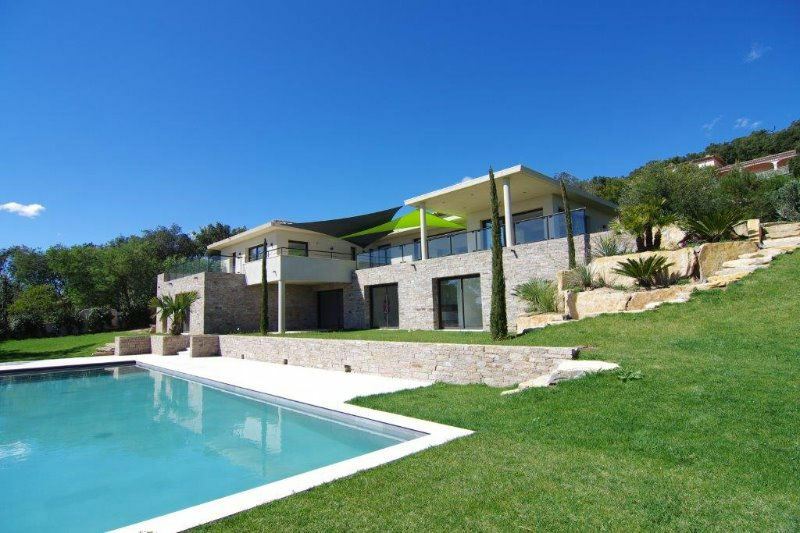 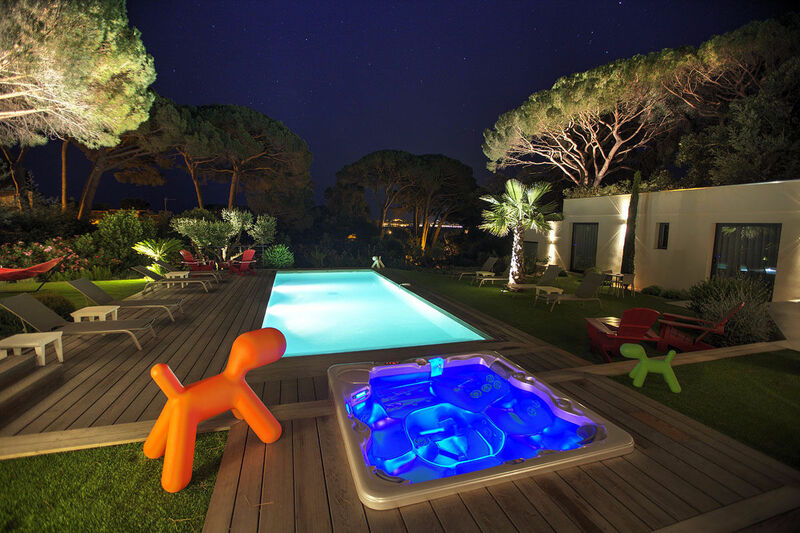 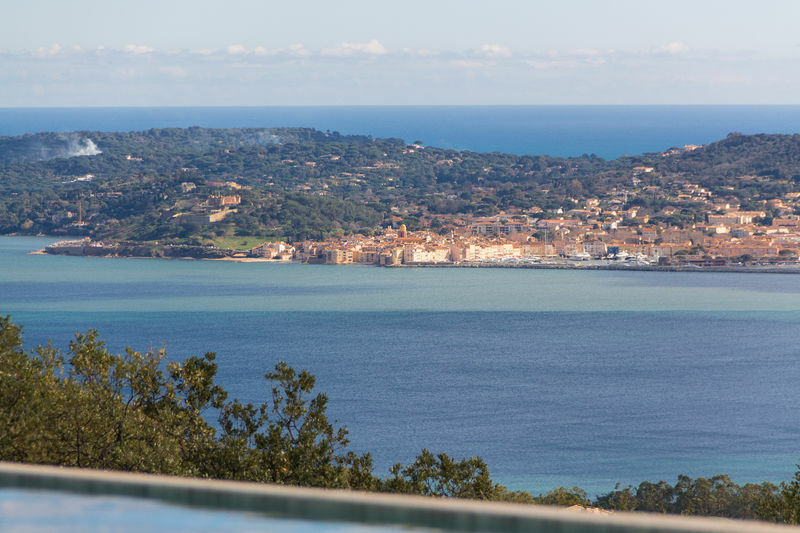 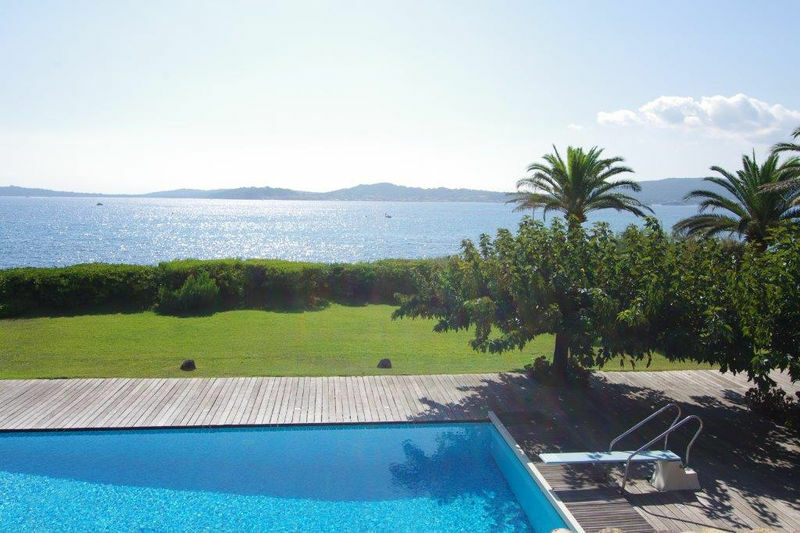 GRIMAUD: Guerrevielle: Settled in a pine forest facing the sea and Saint-Tropez, beautiful contemporary Californian-style property of about 320 m2 , walking distance to the beach! 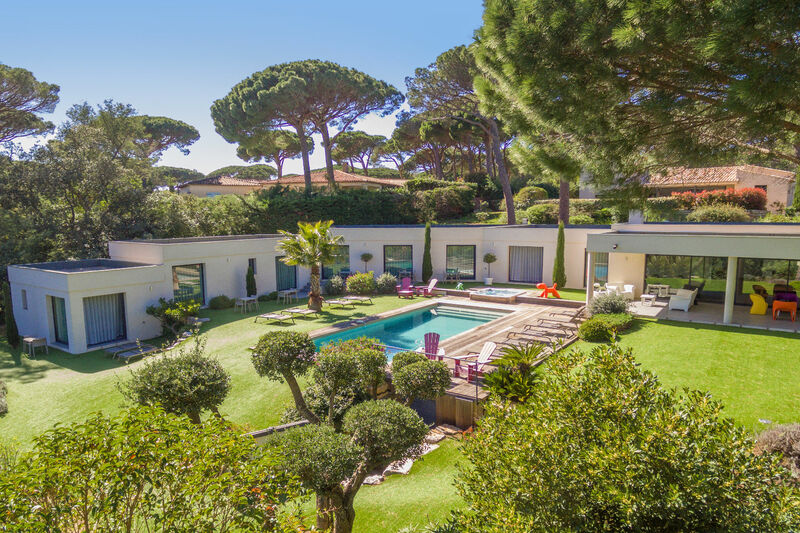 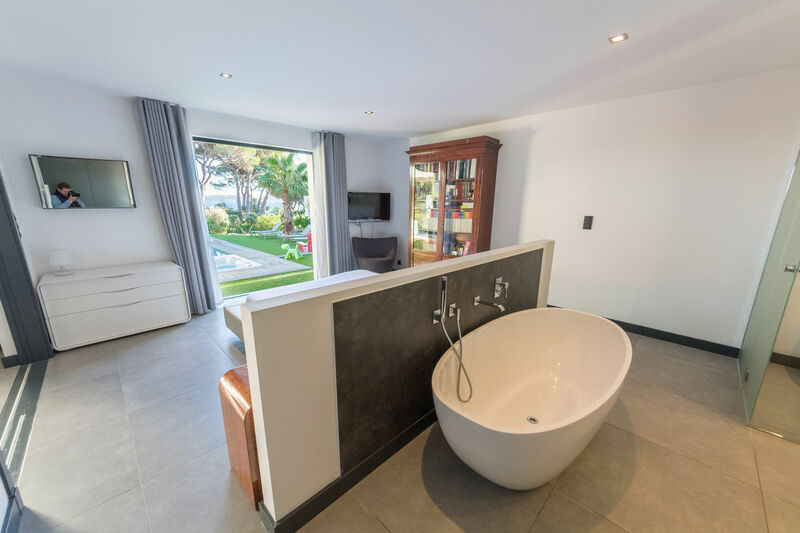 The plot counts 2500 m2 and the garden has been designed with lovely Mediterranean trees, plants and flowers, and enjoys a heated pool with jacuzzi. 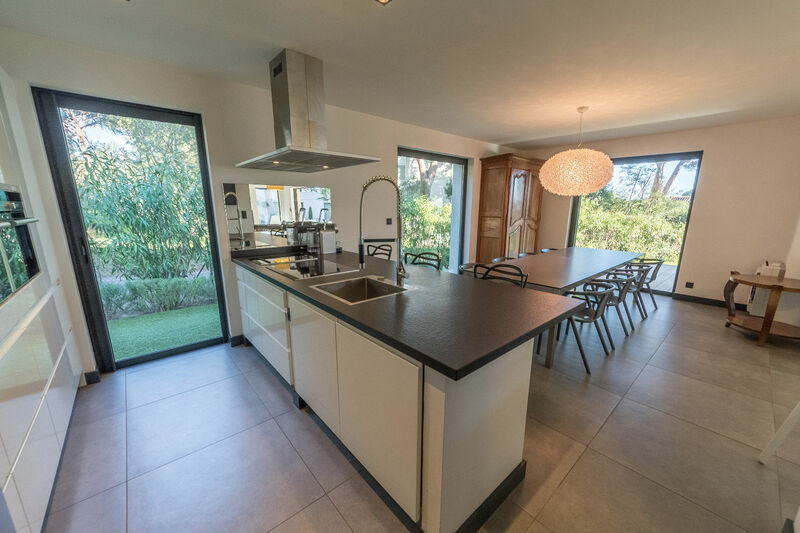 The villa is laid out on one level; it has a large living room of 80 m2 with an open-plan kitchen, leading onto a covered terrace. 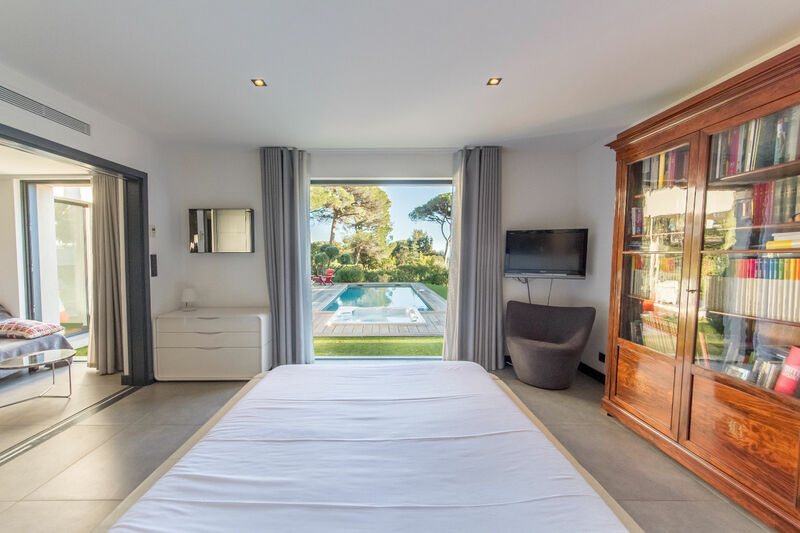 There are 7 bedrooms, including 1 master suite of 48 m2, with each a proper dressingroom, shower and toilets. 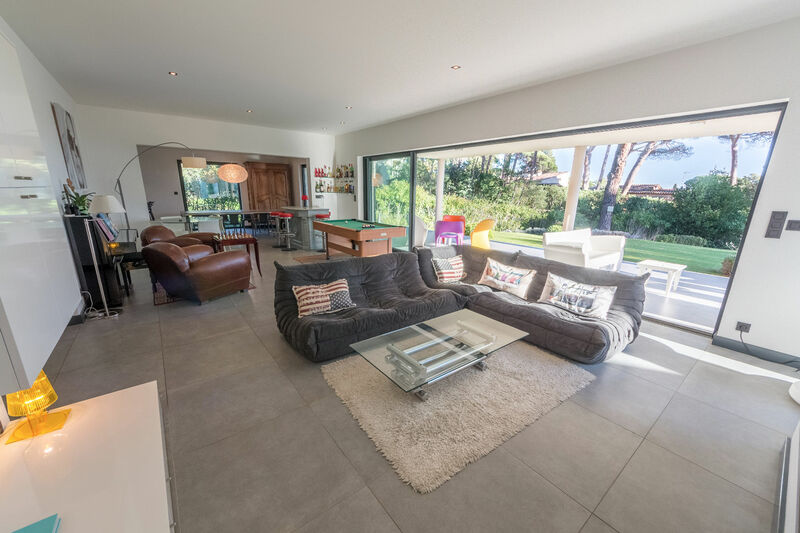 Laundry room, office, double garage and cellar. 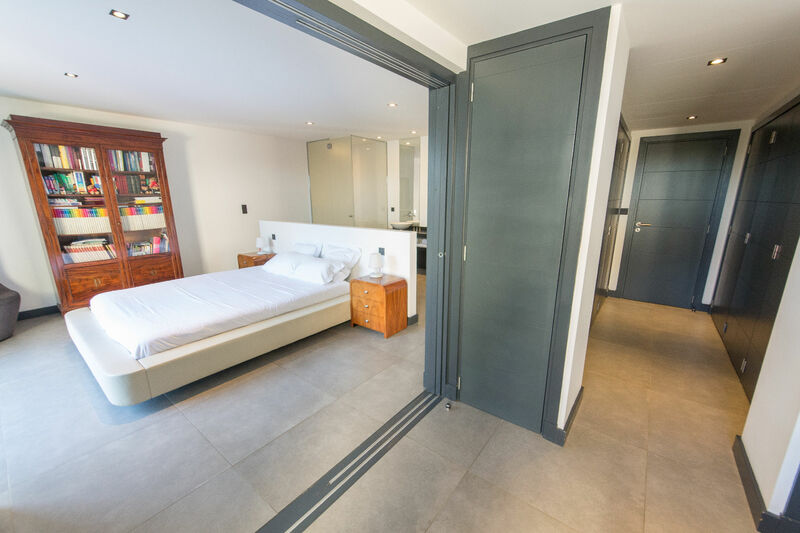 Good rental profitability. 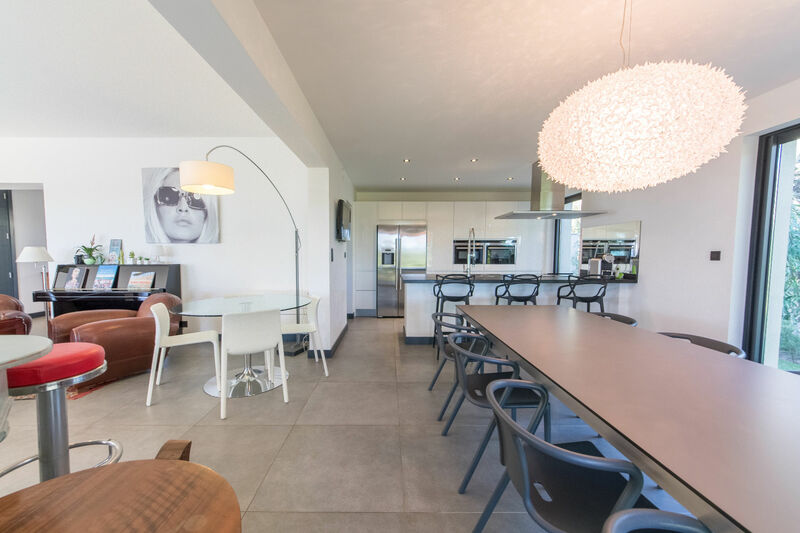 Reduced acquisition fees.